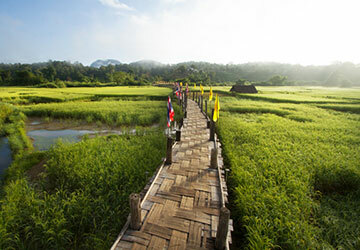 Explore the rural charms of northern Thai life in a small valley surrounded by a lush countryside. We offer you an experience in a luxurious home-stay combined with culinary holiday set amidst in the forest. 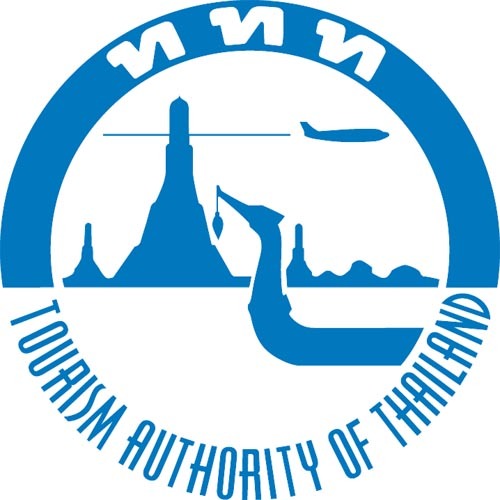 KhumLanna is located in Phrao village (about 01H30 drives from Chiang Mai. This package is highly recommended for those who seek to experience the traditional life of the rural Thai people in the north of the Thailand. The idea is to stay in a home-stay but with the comforts that the Europeans seek for such as good and clean accommodation, clean bathroom , local tour guide who is able to communicate in English. Best time to visit : January – February, October – December. Whereas in March – June might be smoke in the area as the locals burn their crop and the waterfalls have low water, July – September is considered to be a raining season, you normally get 2 or 3 dry days in a week. Once arrive at Khum lanna, you will meet your tour gudie. You will be welcomed by local people. Hence, the head is clearly explained about the history of rice cultivation, directions and future developments with the site manager of eco-tourism. Try your hand at cooking by cooking sticky rice steamed by yourself. Discover and explore the botanical garden with a variety of organic products such as rice, herbs, and vegetables. Lunch served in a rustic Thai barbecue, a brief introduction to Thai language you will also be provided. Optional activities for the afternoon bike ride in the surrounding countryside, carving fruits and vegetables in Thai style, or steam bath with local herbs to regenerate your body: traditional herbal massage with application of warm compresses (ginger, lemongrass, plantain, tamarind leaves, camphor and other herbs). Practicing cookery skilled following construction carefully of four signature delicious Thai dishes. Dinner and overnight at Khum Lanna. Before sunrise, cycle starting in the countryside to the village at Phrao to visit a local market, which is sold locally, produced coffee. With the help of your guide, you can buy local biscuits and garlands of flowers for offerings. Walk to the rice production farm to talk with your guide and owner. Back to Khum Lanna by bike and stop shortly at Wat Pa temple for a visit and making merits.